immediately notice the personal touch and care as well as the hospitality, like at home. 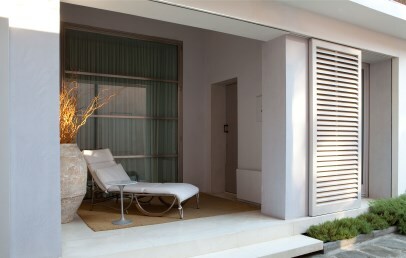 We recommend it to anyone who loves the city of art, but seaches a private and relaxing place. 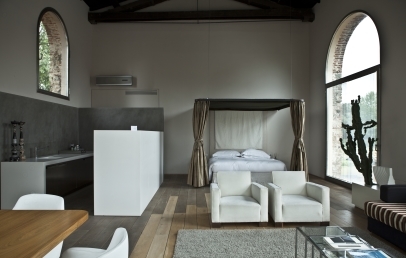 2.5 km from the Ponte Vecchio and the city centre of Florence you will find is Riva Lofts, overlooking the Arno River and Parco delle Cascine. The slightly peripheral location of the hotel allows for privacy and tranquillity, but at the same time allows you to reach the heart of the city by a lovely walk through the park, by bike or by taking the Tramway. The main airport of Florence and the motorways A1 and A11 are within 6 km from the Hotel. 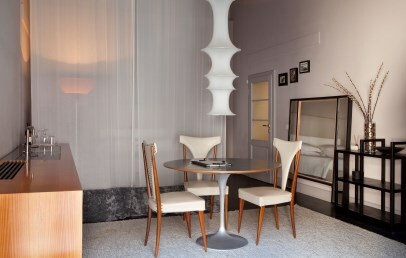 Riva Lofts Florence is a Boutique Hotel designed by the architect Claudio Nardi. The high ceilings and the large open spaces, dating back in the late 19th century, are now equipped with a successful juxtaposition of past and present, antique and modern, warm materials and minimal and elegant atmospheres. The hotel, embellished by a private garden with a swimming pool, consists of three separate yet connected buildings and includes a large living room with vaulted ceilings, a library, a cosy fireplace and large panoramic windows. The 9 Studios of Riva Lofts are spread over three buildings. Each room has its own private entrance, easily accessible from the garden or along the “roses” path. The studio, all finest and individually furnished with unique details are different from each other not only in size but also in shapes, colours and furnishings. 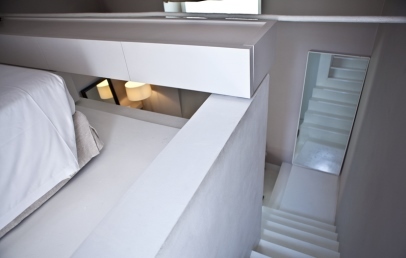 Standard Studio (35 sqm) are characterized by contemporary and refined style. They feature a unique choice of sensitive materials, settings and furnishings. They consist of a bedroom with a living area. Only one Studio provides a kitchenette. 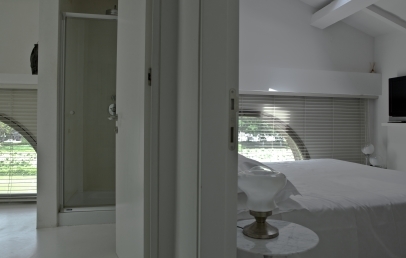 The private bathroom has a Jacuzzi tub or a large shower box, hair dryer, bathrobe and complimentary toiletries. 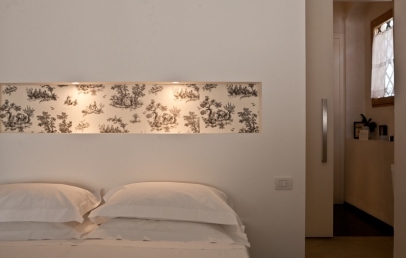 The Standard Studios have an independent entrance and offer a garden or courtyard view. Deluxe Studio (35-40 sqm) are filled with light colours, vintage furniture and glamorous details, with a design kitchenette and parlour, each with specific characteristics such as the Jacuzzi bathtub, the antique artisanal drainer set in the floor, the direct access to garden or the cosy entrance alley. Superior Deluxe Studio (40-45 sqm) are feature unique choices of sensitive materials, settings and furnishings, designed kitchenettes and parlours, each with specific characteristics such as the direct access to garden or the cosy entrance alley with a lemon tree and roses, the impressively high ceilings, dark wooden floors or the fancy mezzanine with view over the garden. Loft Studio (75-100 sqm) are feature incredibly wide spaces, particularly refined antique and contemporary architectural details, designed kitchenette, a stunning view over the riverbanks, park and city centre and in one case also a private terrace. In the nearby of the Hotel there is the chance to practise many sports like golf in 9 holes course, jogging along the main city park, horse riding at the best horse riding club in Tuscany as well as tennis and cycling. Private lunches, dinners and aperitivos are available at the Riva Lofts only on request and for a minimum of 10 people. Your stay includes a complimentary Italian Buffet Breakfast. 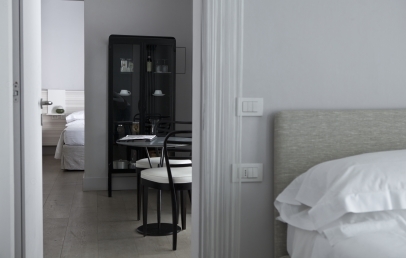 Upon request and with extra charge, Riva Lofts Florence is happy to arrange many activities, such as an aperitif, excursions or in-room massages. Available for the guests are the use of bikes, use of the pool and Wi-Fi connection. Pets are welcome at the rate of 12 € per overnight. The City Tax is of 4,80 € per person per overnight, to pay on-site. 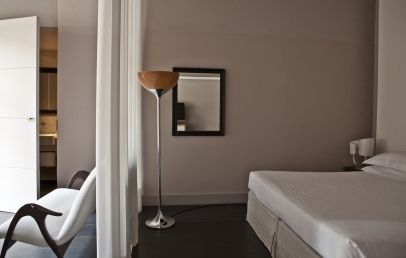 The Standard Studios are characterized by contemporary and refined style. 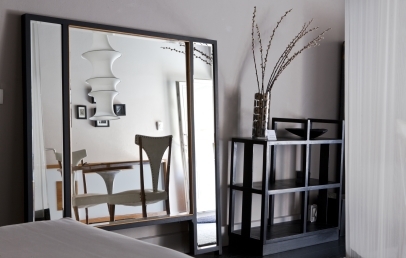 They feature a unique choice of sensitive materials, settings and furnishings. They consist of a bedroom with a living area. Only one Studio provides a kitchenette. 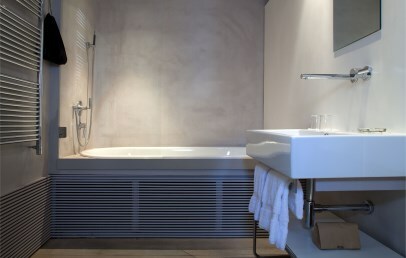 The private bathroom has a Jacuzzi tub or a large shower box, hair dryer, bathrobe and complimentary toiletries. 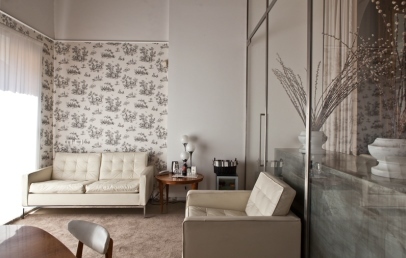 The Standard Studios have an independent entrance and offer a garden or courtyard view. The Deluxe Studios are filled with light colours, vintage furniture and glamorous details, with a design kitchenette and parlour, each with specific characteristics such as the Jacuzzi bathtub, the antique artisanal drainer set in the floor, the direct access to garden or the cosy entrance alley. Feature incredibly wide spaces, up to 100 square feet, particularly refined antique and contemporary architectural details, designed kitchenette, a stunning view over the riverbanks, park and city centre and in one case also a private terrace.